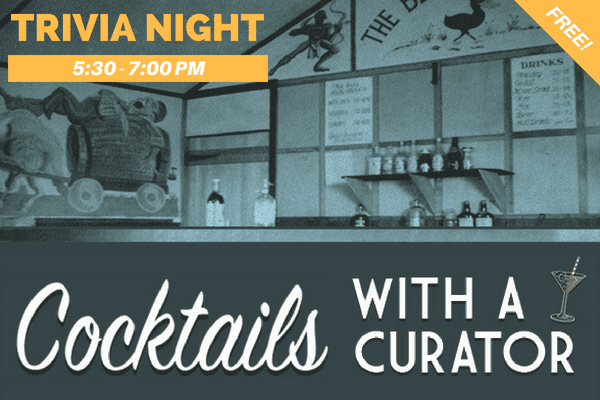 Cocktails with a Curator: Trivia Night! Teams will work together to answer the trivia questions or they can “call a curator” for help. This event is free and anyone is welcome to participate. Happy hour starts at 5:30 p.m., with trivia to follow at 6:00 p.m.